Handcrafted In Antiqued Silver Finished Iron With Inset Heavily Antiqued Beveled Glass Mirror. Sizes: Sm-16x20x13, Med-20x22x16, Lg-26x25x22 Handcrafted In Antiqued Silver Finished Iron, With Inset Heavily Antiqued Beveled Glass Mirror. 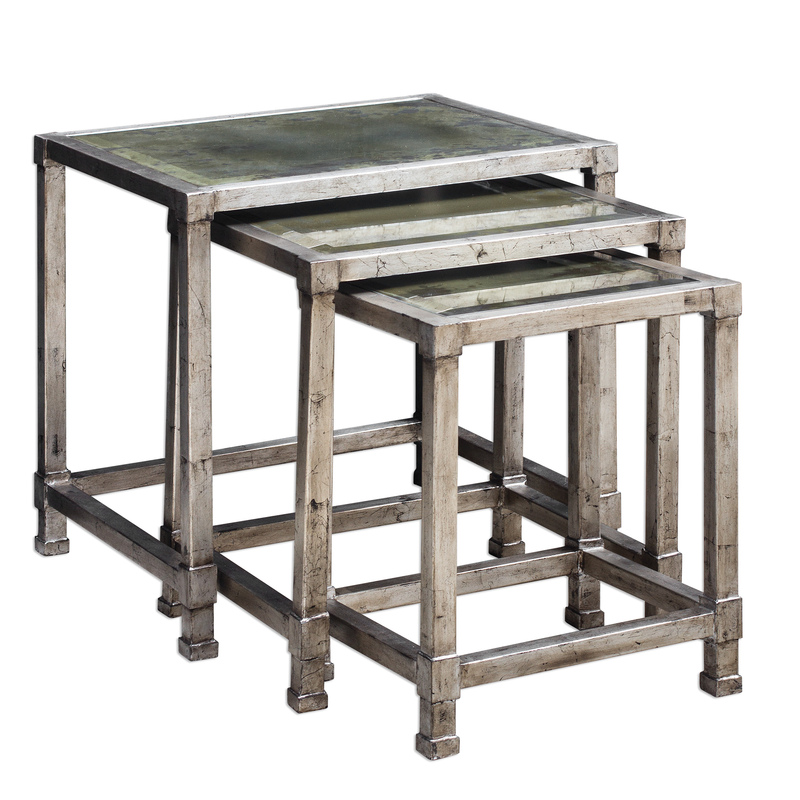 The Accent Furniture - Occasional Tables Keanna Antiqued Silver Nesting Tables, S/3 by Uttermost at Miskelly Furniture in the Jackson, Pearl, Madison, Ridgeland, Flowood Mississippi area. Product availability may vary. Contact us for the most current availability on this product. Finish & Paint Options Handcrafted In Antiqued Silver Finished Iron, With Inset Heavily Antiqued Beveled Glass Mirror.